Doner Kebab –a Turkish kebab which means” rotating Meat “.The meat is cooked while rotating on a rotating spit just like like Gyros,shawarma and Taco el Pastor, it is served with Pita Bread.,while this kebab is most popular in Germany,Poland and Romania. In UK, kebabs are very popular after Night outs ,specially in the Pubs and Bars ,and they are sold mostly during the wee hours of the night . Shish Kebab –the meat pieces is marinated with spices and grilled or roasted on skewers.Sometimes vegetables are also made into kebabs like Mushroom, bell peppers,onion,eggplant and tomato “Sis” in Turkish means skewers , so the name shish kebab . 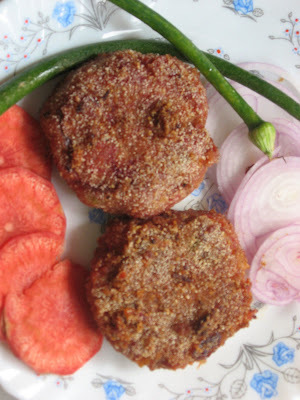 Kathi Kebab - Indian tandoori way of preparations makes it most relish . Tandoori chicken is most famous dish prepared with this method .Lamb ,mutton pieces are prepared with Indian spices and cooked inside the Tandoor on skewers ,the heat is generated and the meat is cooked without getting the fire directly ,this way the meat juices remains intact and the kebabs becomes more tasty .Best eaten with Tandoori Naan or Romali Roti .All The info source Here . One thing you may notice ,these kebabs are all non –veg dishes ,what if these were vegetarian ,what ingredients will be required to make them .Let me guess, some soya chunks ,some vegetables like beetroot ,carrots and the kebabs can be vegetarian .It tastes good ,while I tried making this first time ,the Kebabs were little crumbly ,then after addition of sooji ,they turn out better .Read on How …..
1 cup nutrela or soya chunks –prepare as per package directions . or boil it in water for 2-3 mints ,take out them in a separate bowl , don’t squeeze the water thro them Its going to be dry anyway while preparing the crumble for kebabs. Now grind it in mixer if using Nutrela soya . 1 tsp of salt or required as per taste . 1 tsp of garam masala. 3-4 tbs of Sooji/Semolina/cream of wheat . Oil for frying the mixer/filling and Kebabs . Add all dry masala Powder. Fry them at low.Add salt . Now add the pureed Chana Dal crumble ,gently mix in them till the mixture is dry .Fry it at low for 5 mints .Add raisins and roasted peanuts . Take out the mixture in a bowl ,Shape them in to Round Patties with the help of your hand .Gently press them to the shape of Kebabs. TIP –Now Roll them in semolina /Sooji/cream of wheat .For this take 3-4 heaped Tbs of Sooji in a plate and then Roll them in sooji ,this way it will help to hold the Kebabs. Now Tava/Gridle Fry them slightly with Desi Ghee or Oil.. It will take 1-2 mints to fry each side of Kebabs .For better Results fry them in Batches of 4. 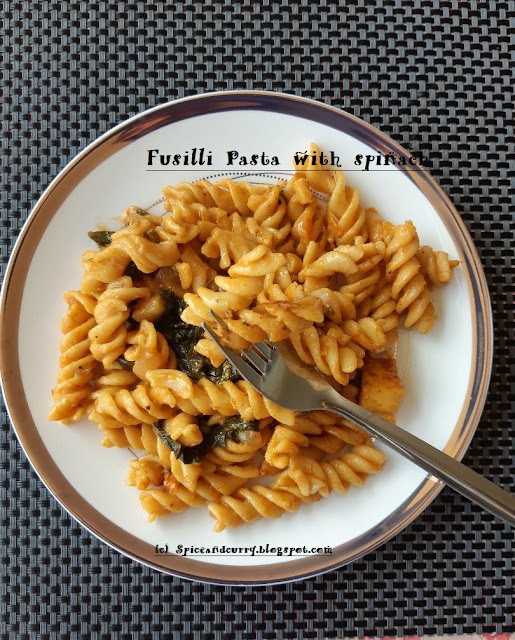 Take out in serving Plate and enjoy. hi Jaya....thats a nice healthy combination..nice one for children.where are you these days..hardly been seen in the blog o land?? I would never think of beets and kabobs! What an interesting idea. innovative ,oh is that so ,thanks ...ya its healthy too..
its good for kids also ,ya u r right I am taking things easy now ,generally dont blog hop these days much ...I have my priorties set now , my lil one demands more time as she has started going to school .. This is just simply amazing and mind blowing idea for healthy food for all the health concious people. Wow this look fabulous. Thank you. 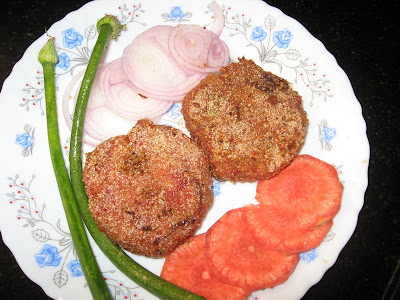 Hey, Thanks for sharing delicious Beetroot Soya Kebab recipe. I love Beetroot Soya Kebab but I didn’t try homemade kebab. After reading your blog I am definitely going to try this. Today I also tried quick and easy falafel recipe at home.